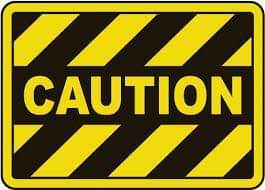 Please be aware that Main Street is scheduled to be paved on Monday, April 22 and Tuesday, April 23 from the Caboose to roughly Dallas Street. The intention is to keep one lane open during the paving process, however please expect brief delays. Storefront parking from Lemon Street to Dallas Street will not be available during the paving. On Wednesday, April 24 and Thursday, April 25 paving will move to the area under construction on Northside / Southside Drive. The intention is to keep one lane open during the process to allow access to the businesses located in the construction area. 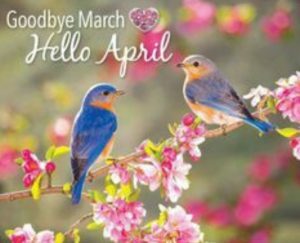 Goodbye March, Hello Spring Break! Happy Last Day of March, and HEELLOOO Spring Break! Remember, no school next week, amd we will see you back April 8th. Read About Us in Around Acworth! Read about graduates Kristen & Charlotte, as well as Shan & Julie’s story and how Blake is succeeding. 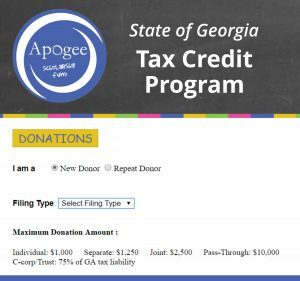 Thanks to the cap increase for 2019 to $100 million, it appears there is still time to redirect a portion of your state taxes to scholarships for deserving students through APOGEE for the Georgia State Tax Credit Scholarship as the cap has not yet been met! There’s no telling how long this may last, so don’t delay if interested. You can find more information HERE. 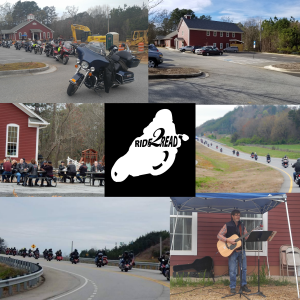 Our 2nd Annual Ride 2 Read is an escorted ride scheduled for Saturday, March 23, 2019. Breakfast, catered by Henry’s Louisiana Grill, will begin at 9AM and the Ride will take off at 10AM. Last year’s ride, our very first, generated almost $2,000 and helped our reading programs and enabled us to sponsor International Dyslexia Association events in Georgia. This year, we have our brand new Upper School building on the very site of where the picnic tables were last year! The support of all the riders was a great help in expanding our programs. There will be live music again this year by David Arnold as well as other activities by sponsors. We hope to see you on the 23rd! Clockwise from top left: Campus on the day of the ride 3/24/18; Campus today 1/7/19; Out on the Ride; David Arnold LIVE; another Ride picture; Breakfast on the Foundation of our new Building! You can SAVE 💲💲 on your Christmas wine 🍷🥂shopping AND donate to the school at the same time! 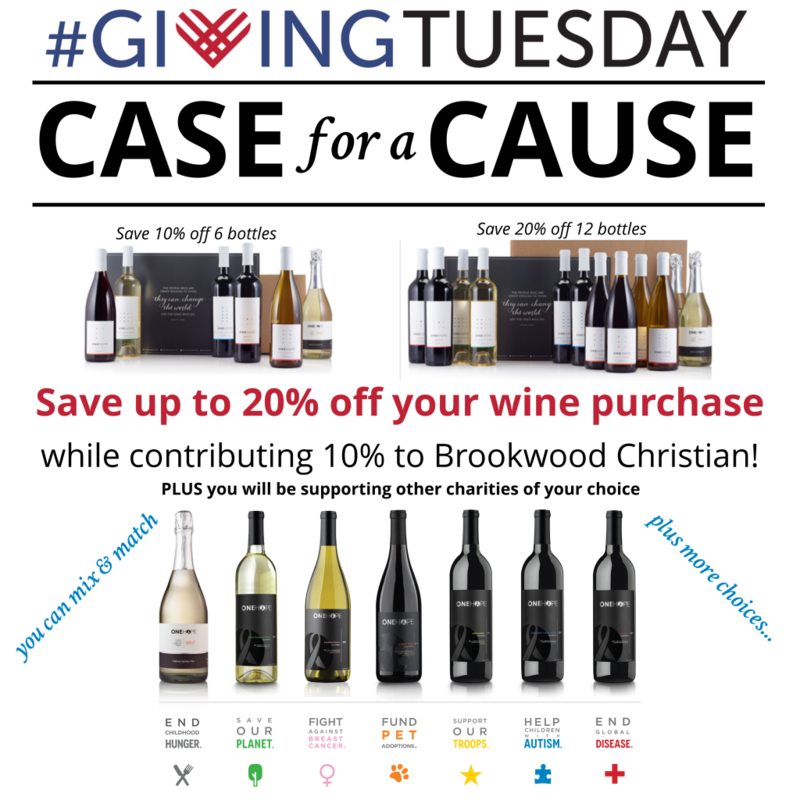 Just mix and match a half case and save 10% or save 20% on a full case and One Hope Wine will donate 10% of the proceeds. Proceeds will also go to other charities based on the wine. 🚨 For us to receive the 10%, orders MUST be placed from the link. 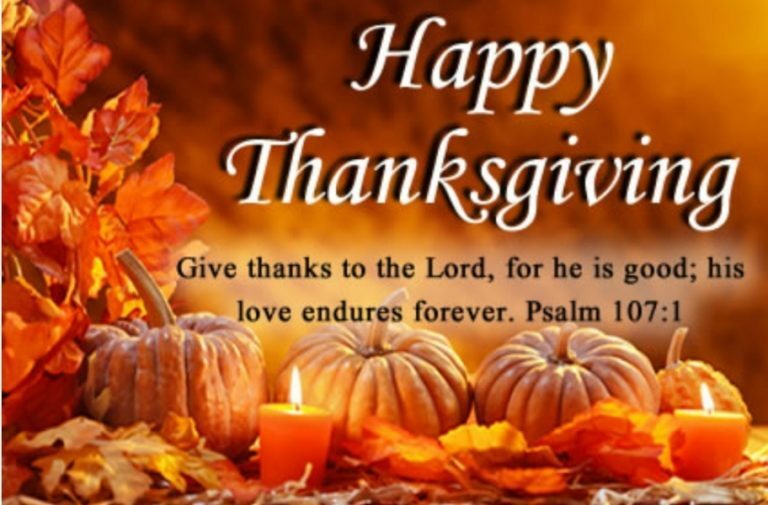 The faculty and staff would like to wish all of our families a blessed Thanksgiving. We are thankful for you and the support you give to our school community! As we gather with family and friends this Thanksgiving, let us be especially mindful of our many blessings. Let us keep in our prayers those that may be facing hardship during this holiday and those who are serving our country and cannot be home with their families. Enjoy the rest of your Thanksgiving Break and we will look forward to seeing you back at school on Monday, November 26th. We are monitoring the weather conditions and will keep you updated. At this time, there are no indications we will not be able to have school tomorrow, should that change, we will let you know. 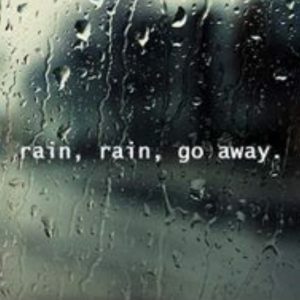 As always, if conditions near your house, flooding, power outages, electrical lines down, etc…, make it dangerous, please stay home, the absence will be excused. We want everyone to be safe! Also, per our closing procedures, we will automatically be closed whenever Cobb closes, or whenever 2 of the following close: Bartow, Cherokee, Fulton, or Paulding. 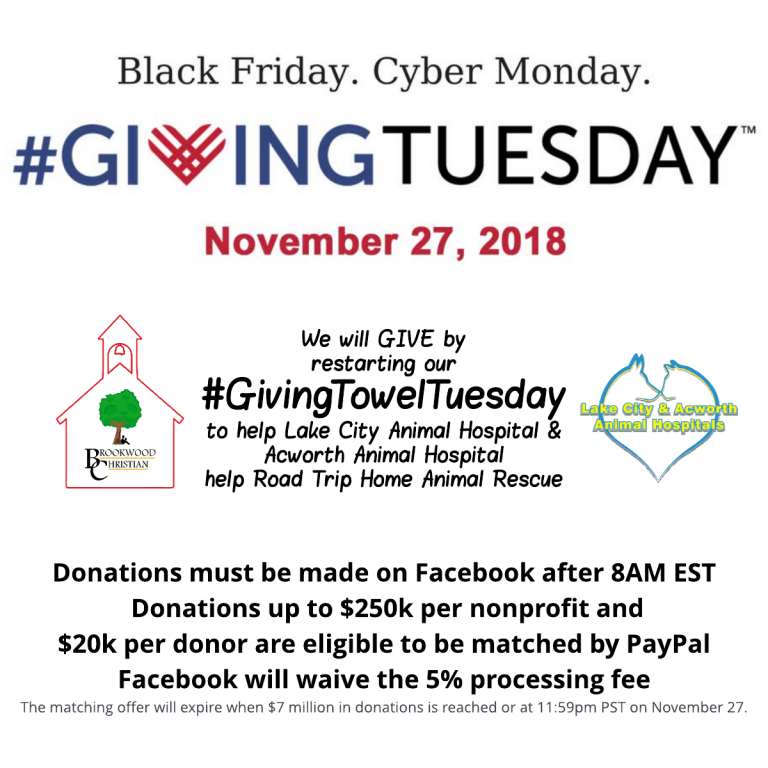 Your purcahses can make a difference! 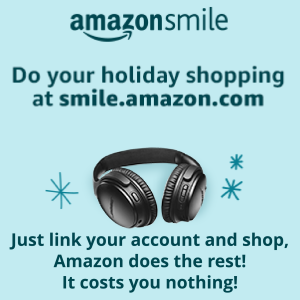 AmazonSmile donates to Brookwood Christian Language School when you do your holiday shoping at smile.amazon.com/ch/20-8499098.